A little later today I promise I will have some stitching pictures since this is a stitching blog. I have made some really nice progress on Bordeaux Sampler. ETA: Here is a pic of me from Wednesday after my most recent doctor’s appointment. Wow, love the bedroom furniture!! Our bedroom set is dark like that, too. 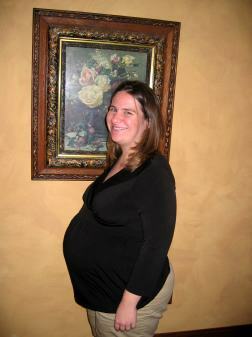 I’m sure I’ve said this before you look so cute pregnant! The guest room looks fabulous!!!!! Nice guestroom! 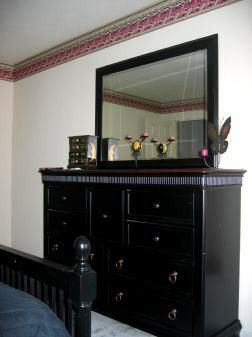 I love that dresser. What a cute pic of you!! 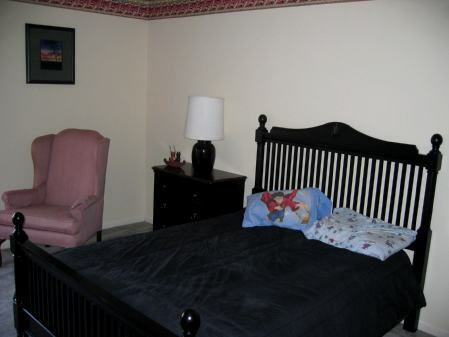 The guest room furniture is wonderful – congrats!